LAHORE: Finance, Planning & Development Provincial Minister Makhdoom Hashim Jawan Bakht visited Urban Unit on Saturday to discuss probable development projects and explore interventional potentials in South Punjab as per the instructions of Punjab Chief Minister Sardar Usman Buzdar. The meeting agenda focused on devising new projects and maintaining the ongoing ones in South Punjab to further the development agenda of the government. Urban Unit Chief Executive Officer Salman Javed briefed the minister about the strengths and expertise of the unit. He gave an overview of the completed and ongoing development projects of the unit across Pakistan. Urban Unit Acting Chief Operating Officer Abid Hussainy also gave briefing on the water sector and Water & Sanitation Authority’s interventions along with institutional development projects completed for various clients/governments and stakeholders. The senior team was also present during the meeting and gave presentations on solid waste management, water, transport and tourism, master planning of cities, Punjab spatial strategy, information & communication and GIS/MIS based interventions for South Punjab especially. During a detailed meeting at the unit office, options were reviewed to maximum utilise the capacities and homework of the unit in the best interest of the Planning & Development Department as well as the new government. “The quality of work done until date by the Urban Unit is incomparable with any other organisation in Pakistan. The viability of the unit needs to be felt in true sense of the word, focusing east to west corridor now. Urban Unit needs to work with China Pakistan Economic Corridor as well. We want to see unit making interventions for the people living below the poverty line in Pakistan. With the technical assistance of Urban Unit in urban land record mapping system, it will be ensured that the mortgage industry boosts and becomes a bankable sphere in Pakistan too like many other countries. 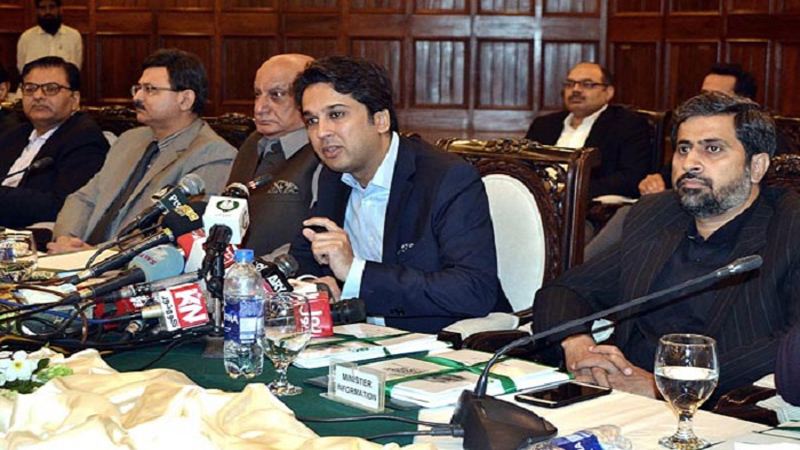 Unit will present plans for field mapping of all small medium big industrial units for revenue enhancement and increasing tax net in the province; the unit will also prepare concept notes for Punjab Revenue Authority and Urban Land Record with options to increase tax base in Punjab,” said the minister while talking to media after the meeting. The minister directed the unit to prepare a survey and presentation for Small Medium Enterprises. The said presentation will be discussed in presence of Punjab Revenue Authority chairman and finance secretary next week. He further asked the unit to give a proposal/concept note for calculation of Gross Domestic Product at district level. The minister also asked to prepare for a detailed briefing for the Planning, Development & Reforms federal minister in the coming week. The unit will also present a proposal for linking Land Record Management Information System with real time and on ground beneficiaries. Urban Land Record System for state land will be presented as well. Urban Unit will share a model master plan for Rahimyar Khan District with a five year plan of inclusive growth. The Urban Unit will be a part of official meetings with assembly representatives and other district stakeholders along with the finance minister for better understanding the vision. The minister has directed the unit to plan for field mapping of all small medium big industrial units for revenue enhancement and increasing tax net in the province; the unit will also prepare concept notes for Punjab Revenue Authority and Urban Land Record with options to increase tax base in Punjab. The follow up meeting on all tasks assigned to Urban Unit will take place in the next week. Published in Daily Times, October 28th 2018.